The project highlighted here was manufactured utilizing our precision CNC turning capabilities. 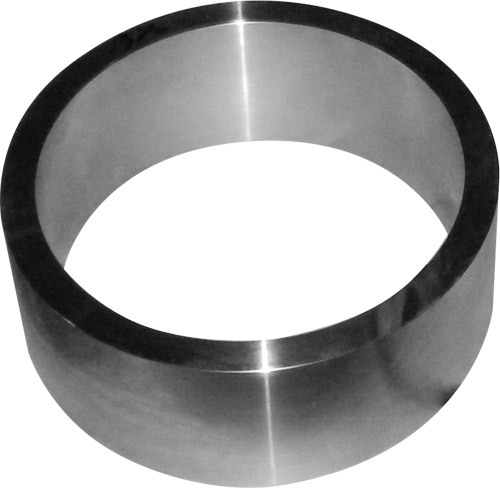 Manufactured for a customer in the eastern United States, this steel ring was designed for use in industries such as automotive, rail, agricultural, as well as gear shops and manufacturers. This part featured dimensions of 5" in length, an outside diameter of 8", and an inside diameter of 5". The customer supplied drawings called for tolerances of ±0.003", which were verified throughout the manufacturing process with various dimensional inspections. 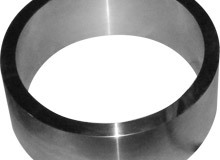 At Alloys Unlimited & Processing, we take quality seriously; everything that we manufacture is subject to stringent quality measures to meet our high quality standards. To learn more about this project, please see the table below or contact us directly. Overall Part Dimensions O.D. : Ø 8"